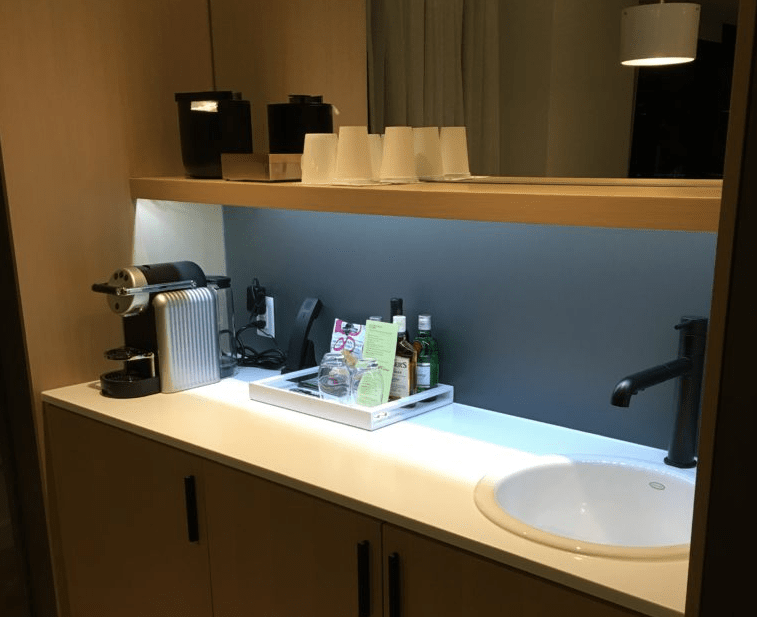 My Stay at the Andaz Ottawa: Amazing! The Andaz Ottawa is my current favourite hotel. I have been raving about the property to all of my travel friends, and those who don’t do the hostel travel life quite agree with me. I had a three night stay a few days ago, and fell in love with the property. 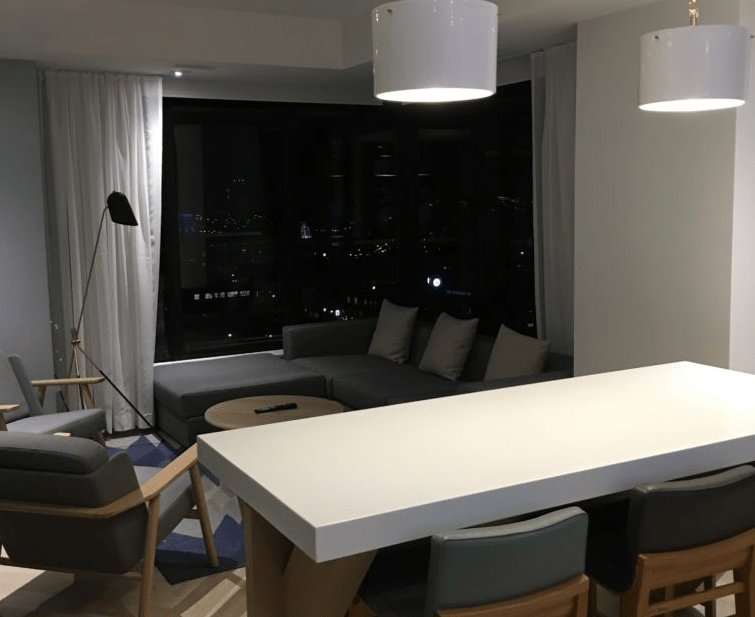 Having opened just recently in August 2016, the Andaz Ottawa has both stunning hard product in terms of rooms and decor, as well as excellent service. I arrived around 11pm to the hotel, tired and sweaty, and was met by a cheerful agent who promptly checked me in while recognizing my diamond status. Conversing with her, she said the room I was in was in her opinion “better than the Presidential Suite.” That’s definitely something I love hearing! I got to my room and was absolutely floored. Andaz hotels generally are of better quality than your run of the mill Sheraton, Marriott, or Hyatt Regency, but what was most shocking was the value that my travel dollars were going. I was offered not only a choice of the food and beverage amenity or points, but also a welcome drink of wine or beer as well as the free snacks and non-alcoholic drinks in the minibar. My suite had panoramic corner windows, great views, and sleek decor. The layout was great, with two restrooms and a separated bedroom and living area. The bathroom featured both a tub as well as 237ml oversized bath products and separate rainfall shower and showerhead. Here’s the thing – I’ve stayed at many properties that have all of this – Andaz Tokyo, Park Hyatt New York, and Intercontinental San Francisco (as a Royal Ambassador), so it’s not something that’s new to me, but those properties are generally close to top-tier redemption costs. They also have incredibly high standard rates. The Andaz Ottawa is a Category 3 Property in the Hyatt System. In North America. A category 3 hotel costs only 12,000 Hyatt Gold Passport points. On a cash and points rate, this would be 6,000 + 75 USD. Compared to a limited-service Hyatt House/Place in the US (also category 3), it’s a fantastic deal. Paid rates are very reasonable as well, with plenty of dates having prices under $200 USD (268 CAD). The property is also part of the Visa Signature/Infinite Hotels program, which features additional amenities to the standard room rate. These include free room upgrades, breakfast, wifi, late checkout, as well as an additional hotel credit. What’s great is that you don’t need elite status to enjoy these benefits. Simply having a premium card, such as the TD Aeroplan Visa Infinite, will allow you to book these rates. On top of that, these cards are offering fantastic promotions. 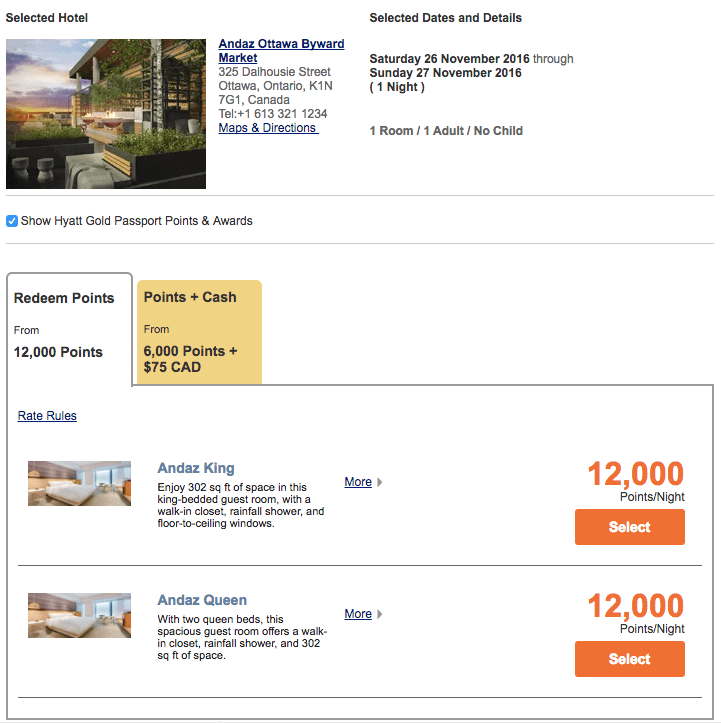 The TD Aeroplan Visa Infinite is offering 30,000 points, while the TD Aeroplan Visa Infinite Privilege is offering a whopping 65,000 points after meeting requirements – this is the highest Visa offer I have ever seen in Canada. I just want to end with a cool story. Since I arrived from the US, my primary go-to card abroad is the Chase Marriott Visa (Canada), which has no foreign exchange surcharge. In my exhaustion, I mistakenly handed it over as the card to secure my reservation. Of the hundreds of nights I’ve spent in Hyatt North American properties, this was the first time that she mentioned that I was using a competing brand’s credit card. She eventually “forgave me” for the oversight, but that was something just so appropriate to the banter we had previously. If you find yourself in Ottawa, definitely check out this property. I know for sure I’ll be back. Room rates at the Andaz Ottawa start at $178 USD in late 2016. 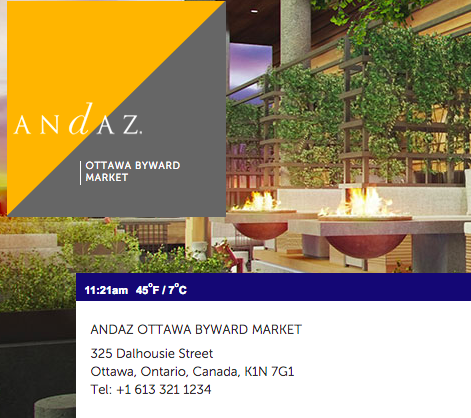 Book your stay at the Andaz Ottawa here. Hah, I wish! I’ve corrected the post. Since I arrived from the US, my primary go-to card abroad is the Chase Marriott Visa (Canada), which has no fuel surcharges.